Previously, I’ve said that the characters of Heirs are what make the show for me; their backgrounds and motivations often keep me interested. However, as the show’s continued, it’s become apparent that there are just too many characters. With so many characters, some get so little screen time that I find myself wondering why I should even care. I’m guessing that the working population, which I’m a part of, feels more strongly about this — the little time that we have for leisure activities exacerbates the aforementioned situation. For example, the story has not given me a reason to care about Secretary Yoon’s almost-affair with Rachel’s mother. Why is it even important? And even though I like Kim Won, why is his romance with the tutor relevant? I get that the show’s trying to reveal a different facet of his character, but it stands out as one of the weaker sub-plots of Heirs. Also falling into this category is Hyo-shin’s attempt to romance his tutor. As one of the story’s least developed characters, I don’t know, again, why I should care — his eating disorder arc would be much more interesting to explore. 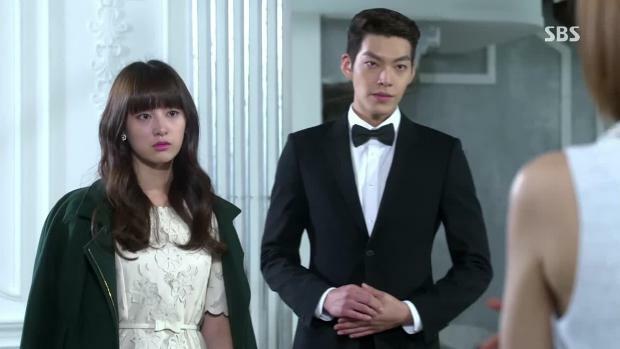 What I do like, though, is that there isn’t a typical love triangle in this drama. Young-do is definitely not our loveable second lead. He’s a jerk and I don’t think Heirs will eventuate with a redeeming arc for him. If this is how it plays out, I’ll support it fully, because such an arc would take away too much from the tragedy of his character. To me, Young-do’s past the point of return. My first impression was that he was a jerk because of his problems with his father, but that didn’t absolve him from his behavior toward everyone else. However, after episode 7, I’ve come to see him in a different light — he’s got serious issues. Young-do doesn’t know what being a good person is. He doesn’t know what being kind and helpful is. And all this is due to his father — his father is a horrible role model. I mean, who chokes a child to win? But that’s all Young-do has to model himself on. The only way I could see Young-do truly change would be if he escaped from his father’s toxic influence. However, that isn’t going to happen because his father is his lifeline. His money and future are tied to their business and thus, he will never escape his father unless he gives up his inheritance. Usually, with characters like this, dramas will have the heroine be the catalyst for the character’s turnaround. But as I mentioned earlier, I doubt he’ll actually change. 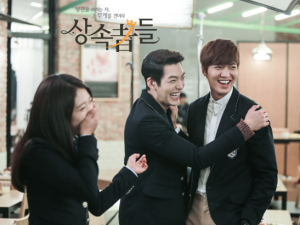 Young-do’s father’s complex and difficult relationship with Eun-sang also has bearings on Young-do’s feelings for Eun-sang. If I were to explain Young-do and Eun-sang’s relationship, I would liken it to a slightly less demented version of Hannibal Lector and Will Graham’s chemistry in NBC’s Hannibal. For those who have not seen the show, it premiered with the hope that Hannibal has been seeking a friendship with Will. 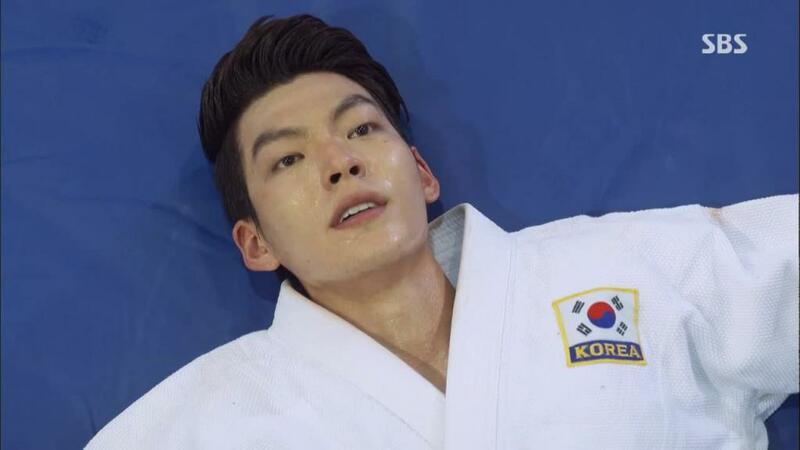 I had the same hope for Young-do and Eun-sang. A few episodes in on Hannibal, the viewer starts to realize that Hannibal does not see Will as a person. Hannibal likes Will as an object, a toy. Hannibal only cares about Will to the extent that if something were to happen to Will, Hannibal would not have his favorite toy. Never does Hannibal see Will as a human being. And I think that is what’s happening with Young-do and Eun-sang. Young-do is interested in Eun-sang only as long as it benefits him. It interests him to use her as a pawn in his game. But if the people around her — namely Kim Tan — did not react, he would tire of Eun-sang. To Young-do, Eun-sang is not a person and that is why he tries to humiliate her one moment but wants to have lunch with her the next. Even as Young-do starts to develop feelings for Eun-sang, it is more about him being intrigued with her than actually caring about her. If he did care about her, he would have realized that she was genuinely frightened of sitting across from him. And if he truly cared about her, he wouldn’t have tripped her. I don’t doubt that Young-do has some sort of feelings for Eun-sang, but I definitely think his feelings aren’t normal, “I like you” feelings. I really don’t know if Young-do can have a normal healthy relationship with anyone, and that includes his so-called friends. These two episodes have also made me dislike Kim Tan. Up until now, I’ve liked Kim Tan and Lee Min-ho’s portrayal of him. However, Kim Tan’s selfishness and lack of empathy in the past week have got me groaning about his appearances, and this is especially felt when he has scenes with Eun-sang. 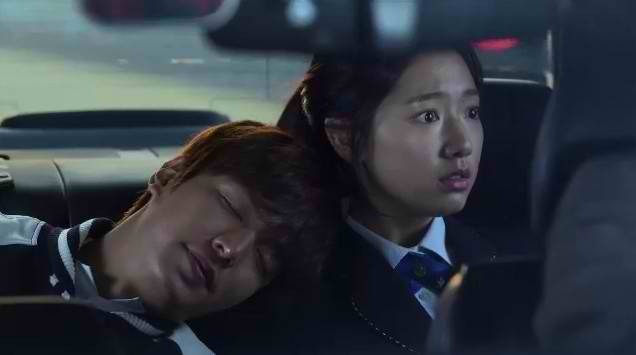 Kim Tan is the source of much of Eun-sang’s problems: it’s because of him that Young-do began tormenting her in the first place. She’s also constantly reminded of her ‘place’ by Kim Tan’s mother. Instead of empathizing with her, Kim Tan has decided that he will fix all her problems … even though he is the source of them. His constant refusal to leave her alone is extremely frustrating. 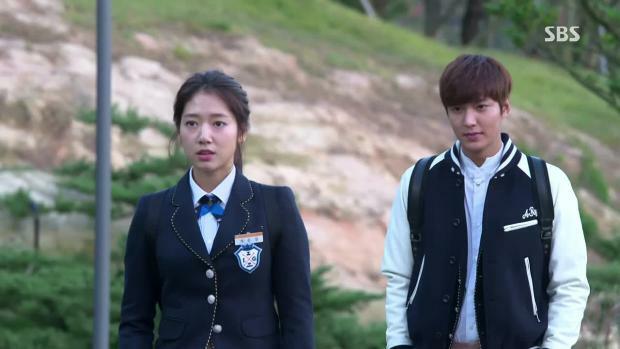 Eun-sang has made it clear that she doesn’t want to hang out with him at school. Yet, he is so selfish that he puts his desires to be around her first. He ignores her pleading and does what he wants. In real life, that would be borderline harassment. Also, how utterly ridiculous was that kiss scene? While I generally scoff at unexpected kiss scenes, I usually find them innocent and harmless. In this case, I can’t even call it an unexpected kiss — it was unwanted and forced. Kim Tan kissed forced himself on Eun-sang to control her. There was nothing sweet or romantic about it. In fact, it made it uncomfortable to watch. Just look at Eun-sang’s face — she wasn’t enjoying it. Further to that, if the next episode reveals that she likes it, and even proceeds to kiss him back, I most definitely will rage. That’s a horrible, horrible message to be sending out to viewers — relenting to a forced kiss — especially since this drama is geared towards a teenage demographic. Episodes 7 and 8 have really plummeted my enjoyment of Heirs. Kim Tan’s behavior has been extremely problematic; if he continues to act like this, I won’t be able to respect Heirs. Here’s to hoping that the show turns it around because I do not like where it’s currently headed.